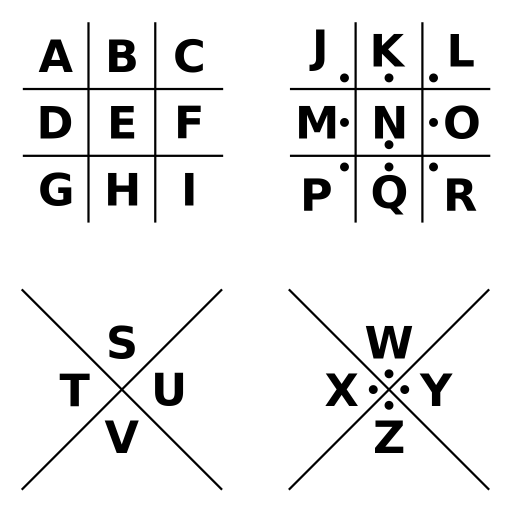 A substitution cipher that has particularly distinctive looking characters. The encryption/decryption key can be quickly re-created by hand, once you know the basic idea. And messages can then be quickly encoded or decoded. The best thing about this technique is how cool the symbols look: like some kind of alien alphabet. 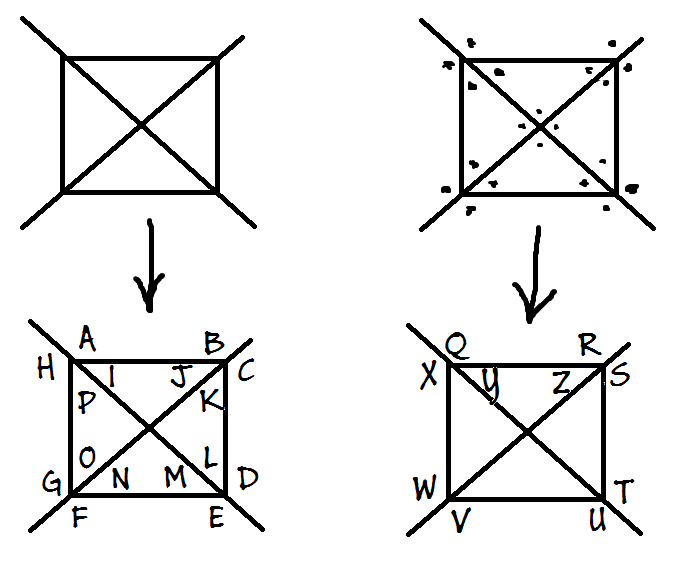 And any group of friends who wish to trade messages can use variations on the technique to create their own completely new and alien looking symbols. I haven't tried it out, to see how distinctive the characters are, but if they do prove too similar, a little refinement could be easily achieved. Sadly, for all of its grooviness, the pigpen does suffer a flaw, and quite a fatal one. Because it is a "substitution" cipher, any sufficiently long message can be easily decoded through frequency analysis. In other words, if you count which symbols appear the most often, and assuming those to be the most commonly used letters of the alphabet, you will quickly begin to make educated guesses of common words, and the rest of the code will soon be deconstructed.